Benzodiazepines are sedatives commonly prescribed for the management of anxiety and insomnia. When used therapeutically, they are effective at treating these conditions, but many people abuse them for their calming and euphoric effects. Chronic benzo abuse can lead to dependence and addiction. Due to these potential dangers, and because many people who try to stop on their own quickly relapse due to intense cravings for the drug, benzodiazepine detox should occur under medical supervision in a treatment program. What Are the Signs of Benzo Addiction? Rapid pulse (more than 100 beats per minute). Detox is a word that may conjure up frightening images for many people, having seen lurid portrayals of drug withdrawal in movies or on television. So it’s natural that anyone considering detox will have many questions of what is actually involved in the process. The purpose of detox is not to provide thorough drug addiction treatment. Rather, detox is a brief process that lasts a few days, at most, and involves getting a substance out of your body. When properly supervised, your withdrawal symptoms can be managed safely and with the least amount of discomfort possible. Evaluation, which involves a thorough assessment of your medical and psychological health, determining your level of addiction, and charting the best course of treatment for your addiction. Stabilization, which involves helping you through the physical process of withdrawal as your body rids itself of the drug. Transition, which helps ease the entry from detox into longer-term treatment. You learn that a detox program is not the whole of treatment, but the first step in your recovery journey. 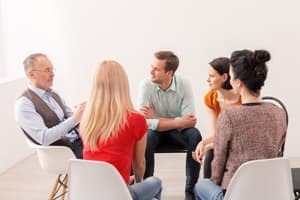 As you move forward with an inpatient or outpatient treatment program, you will uncover and work through the underlying issues that led to your addiction in the first place. Without this process, many people go back to using substances when they are faced with these issues in the future. Where Can I Find Detox for Benzodiazepines? There are many different types of detox programs, and the best setting depends on your specific needs. It is important to have all the information about the different types of programs available in your area so you can make the most informed decision. Inpatient care. This type of setting may be necessary if you need around-the-clock monitoring due to potential withdrawal complications. It is generally recommended that those with a significant benzodiazepine addiction attend an inpatient treatment program, and this is especially true if you have addictions to multiple substances. Hospital-based detox programs. As the name implies, services are offered in a medical hospital setting. The quality of social support you have at home. Your risk of experiencing withdrawal complications. Any previous history of complicated withdrawal. The presence of co-occurring psychiatric disorders. Having addictions to additional substances. Physician’s office. This setting may be viable for some people, but a careful assessment and evaluation of this approach is needed to ensure safety in the detox process. An appropriate post-detox treatment program is necessary to give you the best chance of avoiding relapse. During your detox program, your treatment team develops a plan to transition you or your loved one into a treatment program that best suits your needs. Inpatient programs offer 24/7 support, which could prove especially important if you have an addiction to other substances or have not been successful in outpatient treatment for benzodiazepine addiction. Outpatient treatment is offered at different levels, including partial hospitalization programs (PHPs), which you attend for several hours a day for as many as 7 days per week. Intensive outpatient programs (IOPs) usually require you to attend treatment 2 to 3 times a week for 2 to 4 hours a day. During all outpatient programs, you attend treatment during the day but continue to live at home. Luxury programs are typically more expensive than standard programs because they offer extra amenities to make treatment more comfortable, such as specially prepared meals, single rooms, or massage therapy. Executive programs cater to the needs of busy professionals. Some of these programs may offer an intensive weekend format or a hybrid of a few days of inpatient treatment followed by several hours of outpatient treatment on weekends or in the evening. Holistic programs address your treatment needs through the lens of mind-body-spirit wellness. These programs may offer yoga, mindfulness training, weight management, meditation, acupuncture, aromatherapy, and other complementary therapies. Demographic-specific programs serve certain groups, such as the LGBT population, military veterans, or adolescents. Some people find these programs helpful because they can identify more closely with their peers in treatment. Many women, for example, may find a women-only program fits their needs better if they have underlying issues of sexual abuse that they do not feel comfortable sharing in groups with men. 12-step programs are the basis of many treatment programs using the 12-step model of Alcoholics Anonymous. Non–12-step programs provide a secular alternative for people seeking a similar recovery environment as that offered by traditional 12-step programs. Not everyone wants the same type of detox program, nor does one program fit everyone’s needs. Researching your options and speaking to specialists in the recovery field can help you find the best fit for you. Tan, K.R., Rudolph, U., & Lüscher, C. (2011). Hooked on benzodiazepines: GABA A receptor subtypes and addiction. Trends in Neurosciences, 34(4), 188–197. Pétursson, H. (1994). The benzodiazepine withdrawal syndrome. Addiction, 89(11), 1455–1459. Center for Substance Abuse Treatment. (2006). Detoxification and Substance Abuse Treatment. Rockville (MD): Substance Abuse and Mental Health Services Administration.